What Does Pet Urine Do to Carpets? We love our pets, but when they use the bathroom inside the house, they can quickly destroy your expensive carpet and upholstery. Sometimes it is just an accident where the puppy misses the pee pad or does not want to pee in the snow. Other times it is a chronic behavior caused by illness, poor training, territorial competition or defiance. Pet urine goes into the carpet as a fiber damaging acid that leaves behind an alkaline salt residue as it dries. When urine salts are left untreated, they can continue to produce odor for many years. You may not notice the odor in the winter when the air is very dry. However, on a hot and humid day, the urine salts are reactivated and begin to produce odor again. Many pet owners try to treat the problem with store-bought cleaners that never get the job done and leave behind sticky soil attracting residue. Some pet owners hire poorly trained cleaners who are long on promise and short on results. 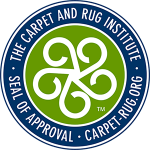 They may also fall prey to cleaners who should have recommended carpet replacement instead of treating carpet that was beyond salvageable. If you have pet urine stains and odors, Hydro Clean Carpet Cleaning can treat the stains and odors to eliminate the nasty pet smell. 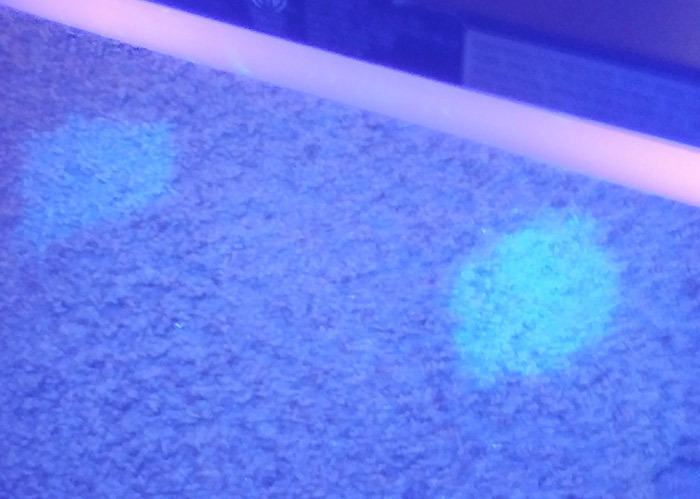 When we treat pet urine, we use UV black-lights to illuminate hidden pet urine spots. 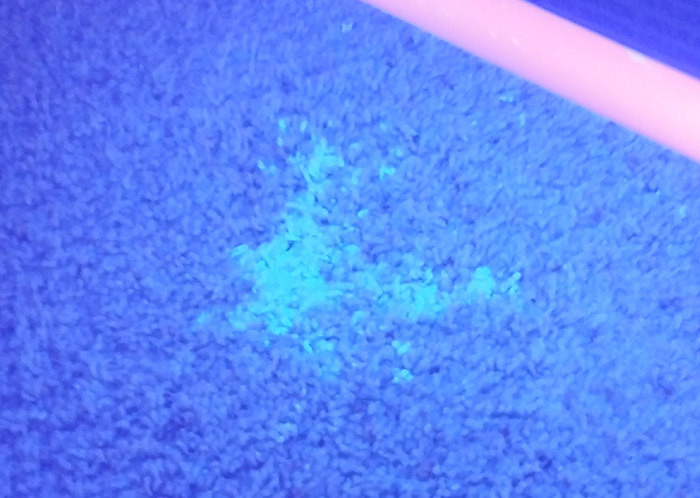 Urine spots in the carpet will fluoresce (glow) under a UV light because of phosphorus and salts in the urine. The UV light allows our technicians to pinpoint the urine contaminated area and deliver the neutralizing treatment to only where it is needed. Hydro Clean uses a combination of buffered peroxides, enzymes and deodorizers to neutralize the odor producing urine salts and remove yellow urine staining. To avoid pet urine contamination, kennel dogs at night or when you are not home. Use baby gates to restrict access to carpeted areas. Stay away from pee pads that teach puppies it is OK to pee inside. Invest in dog doors so they can let themselves out. Take puppies out every hour, so they have more opportunities to learn outdoor peeing. Keep cat boxes clean, so your cat does not pee elsewhere out of spite. Use positive reinforcement, not a punishment to teach your pets.